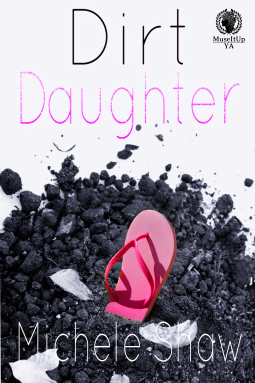 In Dirt Daughter, seventeen-year-old Elena Black has concealed the secret to her childhood friend’s murder for eight years. With the possibility of a college scholarship looming, she plans to keep that secret and flee her dysfunctional home; one with a drug-addicted mother, a stepsister she just met, and a bitter, abusive uncle. But, when a detective reopens the cold case and a friend sets her up on a date with the new boy at school, the past and present collide, threatening Elena’s future plans…and her life. This one was pretty good. It was an interesting take on a mystery novel but I wasn't over the moon about it. I feel like half the novel was spent with Elena whining about not being able to date her boyfriend because she witnessed his cousin being murdered. I did like their relationships and Elena though. I liked Elena though. I thought it was very realistic that she was barely holding it together after witnessing this and having it brought up again. I would have liked to have more of a clear understanding of the case at hand. I feel like since the prologue was about what Elena said about the actual incident, there should have been some of her testimony about what happened. I feel like we got bits and pieces along the way, but nothing really substantial or in a way that really made sense to me. I also like Chayton. I feel like their relationship was a good one and well written but felt out of place in this story because of the theme and what the plot actually was. I did like that it wasn't insta-love and that it grew over time. I would have liked to see more of their relationship, but that is okay. I did like what they had and what we saw of them. I thought the plot was a fairly quickly moving one and the world building was pretty interesting. The other characters were really just stepping stones for Elena's story but they all had an impact in her life. I would have liked more of Charlotte to show that Elena could be "normal" but I will just take what we got. Overall: 3.5/5 stars. It had some really good elements and I liked the full circle symmetry of it.